Interested in learning who’s using Garritan virtual instrument libraries and why they work so well in film, television, concerts, theatre, ballet, interactive games, and other events? Browse through the sections below to learn more about the extremely gifted professionals using it, why it’s getting such high praise, and what exciting things are yet to come! 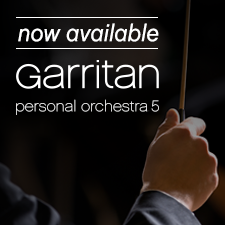 Musicians and composers all around the world use Garritan sound libraries in film, television, live concerts, recordings, theatre, ballet, game audio, and events. Read how Garritan sounds are used in live concerts and recordings from U2, INXS, and Celine Dion. Learn which interactive games, television shows, and events have used Garritan products. Garritan sound libraries continue to receive industry awards. Electronic Musician Editor’s Choice award, Key Buy award, Sound on Sound 5/5 Stars award, and MusicTech Choice award are just a few of the many awards that Garritan virtual instrument libraries have won.